It has just been announced on both the Arsenal and the Everton official websites that out-of-favour Gunner’s defender Philippe Senderos has completed a loan switch between the two clubs. The Swiss centre back has been finding appearances hard to come by at The Emirates this season and the 24 year old will be moving to Goodison Park until the end of the season in the hope of playing enough first team football to secure his place in Switzerland’s World Cup squad. 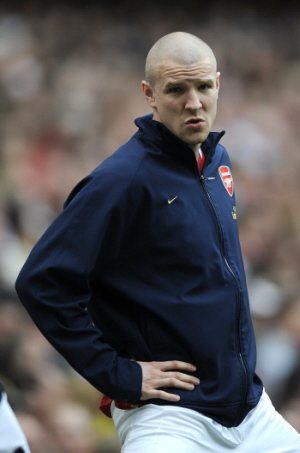 A host of clubs, including Celtic and Bayern Munich, have been continually linked with Senderos since he returned from his loan spell at AC Milan last term, but it is fellow long-term suitors Everton who have finally agreed upon a deal to rescue him from fading into anonymity in the Arsenal reserves.